The PK-LQP flew for the first time on August 8, 2018, from Seattle - the largest city in Washington - to Moses Lake and returned to Seattle the same day. A week after his first flight, he arrived in Jakarta. 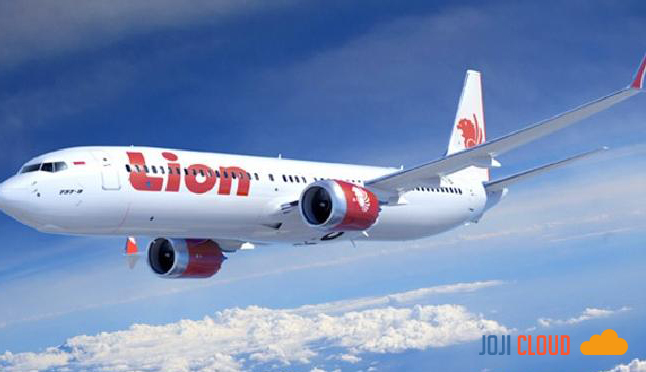 The Boeing 737 MAX 8 was ordered by PT Lion Mentari Airlines, better known as Lion Air. Three days after arriving in Jakarta, the PK-LQP first flew under the aegis of Lion Air, covering a distance of approximately 1,476 kilometers between Jakarta and Banjarmasin. The same day, he returned to Jakarta, then to Palembang, then to Jakarta, then to Jayapura. The following day, August 19, 2018, PK-LQP was flying more than seven times a day: from Jayapura to Merauke, he then returned to Jayapura and then to Makassar, then to Jakarta, then to Pontianak, then to Jakarta and to Jayapura . Total traveled 17,506 km. In a day, it can fly four to eight times, and most often six times a day. Since it was officially in the hands of Lion Air until October 28, the PK-LQP has made 439 flights. On Monday, October 29, PK-LQP will begin the day by flying back and forth from Jakarta to Pangkal Pinang. On the 76th day, the aircraft transported 178 adult passengers, 1 child, 2 babies and 8 crew members. Unfortunately, he did not arrive at Pangkal Pinang. Only 13 minutes after take-off, communications between the pilot and the air traffic control officers at Soekarno-Hatta airport were cut off. PK-LQP falls in the waters of Karawang. He is still very young: only 2.4 months old. The cause of the fall of PK-LQP is not certain. The results of the black box analysis have not been officially announced. The PK-LQP is not the only new plane belonging to Lion who had an accident. On April 13, 2013, Lion's Boeing 737-8GP (WL) aircraft, flight number JT 904, did not land on the runway and landed at sea near Ngurah Rai Airport. The fuselage was split in two, but all passengers and crew survived. When an accident occurs, the aircraft bearing the PK-LKS registration number is classified as new: less than three months. "Adaptation to the new fastest plan of the last three months"
The age of the aircraft and the level of accident risk are not always relevant. The younger the age of the aircraft, the more likely it is that the accident risk will be low. Conversely, older planes may not be more vulnerable than younger ones. Gerry Soejatman, flight analyst, said the new aircraft was at high risk of an accident. The main reason is that the airline has not fully understood and knows the technical problems of the aircraft. According to him, the airline needs the three fastest months to adapt and really understand the state of the new aircraft. "Every plane, to be honest, the" diseases "have only been discovered by the airline over time," Gerry told Tirto. So, Gerry continued, there is a risk of a major accident on new aircraft. As for old planes, as long as they are perfectly maintained and repaired periodically, they can still be used. "It's not his age that determines whether the plane is safe or not, but whether it is maintained properly or not," Gerry said. On 14 January 2002, Lion Air's Boeing 737-291 with flight number JT 386 crashed after taking off at Syarif Kasim II Airport in Riau. The plane bound for Batam was 32.2 years old. The right wing was damaged, but there were no deaths. Between 2004 and 2009, some of Lion's 10-year-old aircraft had an accident. On 23 February 2009, the aircraft with flight number JT 792 landed at Hang Nadim International Airport in Batam without landing gear. This McDonnell Douglas MD-90-30 type aircraft was 22.7 years old at the time of the accident.